On Wednesday, Emirates announced that it will offer complimentary Microsoft Surface tablets for use on board non-stop flights to the US. This is the latest response by the Dubai-based airline to the US Department of Homeland Security's ban on all electronics larger than a cell phone. "Customers can download their work on to a USB which can be brought on board and plugged into the devices to continue working seamlessly," Emirates said in a statement. All loaners tablets will be equipped with Microsoft Office 2016. Thus far, operations at Emirates, one of the nine major carriers affected by the ban, has gone relatively well apart from some slow arriving bags at US airports, airline president Sir Tim Clark told Business Insider. However, that doesn't mean the airline's passengers haven't been inconvenienced by the ban which was implemented late last month based on intelligence indicating terrorists may target commercial aircraft using explosives hidden in electronic devices. APEmirates, was the first of the major airlines to offer its passengers a work around. On March 23, Emirates announced a service that will allow all of its passengers to use their laptops and tablets until it's time to board their US-bound flights instead of checking them with their luggage. 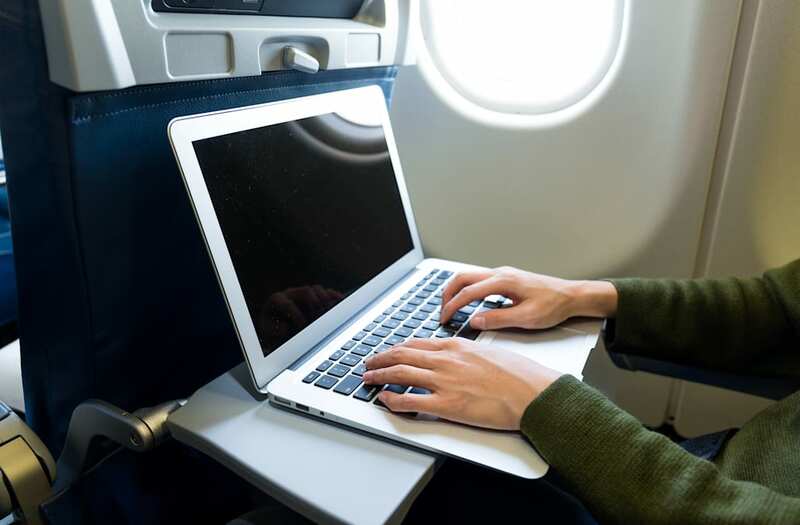 According to the airline, nearly 8,000 passengers have utilized its complimentary laptop handling service on its 112 weekly flights to the US. Other affected airlines have also implemented ways to mitigate the effects of the ban on its passengers. Last week, Etihad announced its own tablet loan program for its first and business class passengers with complimentary iPads. A day later, Qatar Airways upped the ante by offering its business class passengers free loaner PC laptops. In addition, Turkish Airlines announced on Twitter this week that passengers who turn in their laptops and tablets at boarding would receive free WiFi on board the flight.Saudia also tweeted that all passengers going to or returning from the US and UK will get 20 MB of free WiFi access. Here's a video outlining how Emirates' laptop handling program works.